It’s Create & Share Challenge time! I’ve once again teamed up with some amazing bloggers to create something unique; this time with Rope! 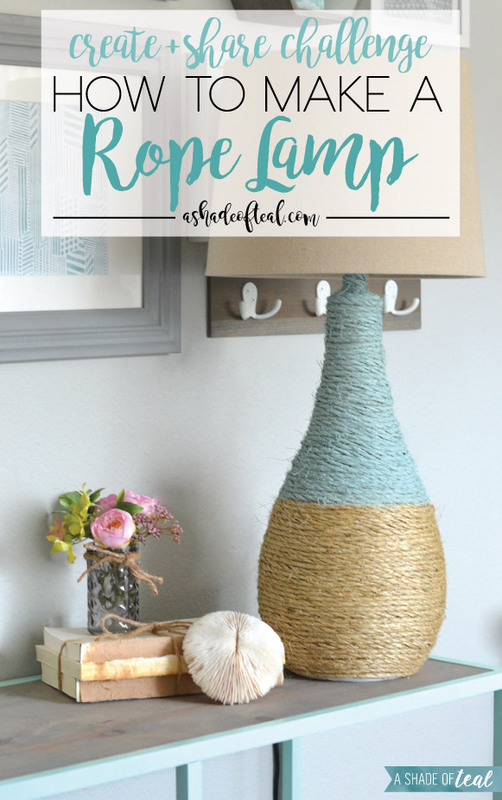 There’s so many ways to update with rope; you’ll definitely be able to get some great ideas below! I decided to update a old lamp for my daughters room. The entire project took under a hour and the outcome is great. 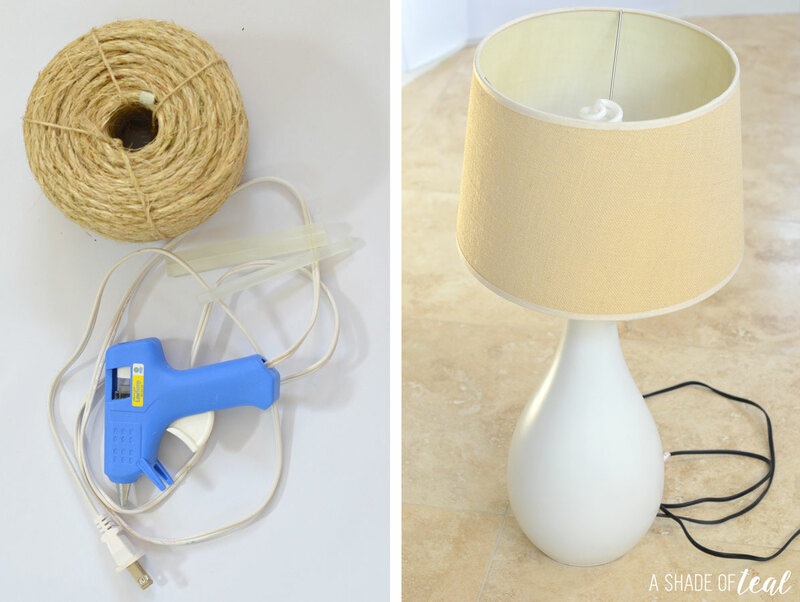 To get started you simply glue the rope down at the top of the lamp. Then start wrapping the rope around. I would glue the rope on the front & back then wrap 1 time without. Keep going till you hit the bottom of the lamp. This was a large lamp and I used exactly 10 feet of rope. Now to add some interest! 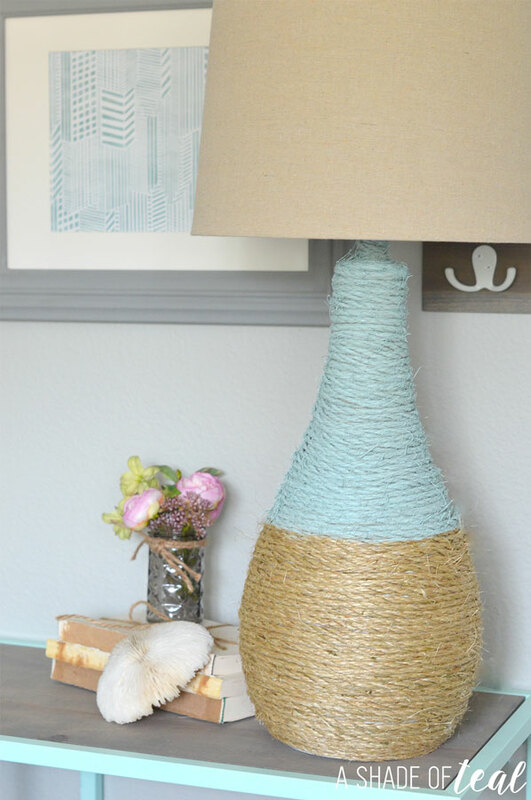 I decided to spray paint half of the rope in a Mint/Aqua color. If you spray paint the rope you need to make sure the tape is really secure to get a clean line. Now for the finished updated lamp! Make sure to stop by everyone’s blog to check out their Rope project. You can also see the rest of my daughters room HERE. This is beautiful! I love the spray painted look and it is a perfect addition to your space! 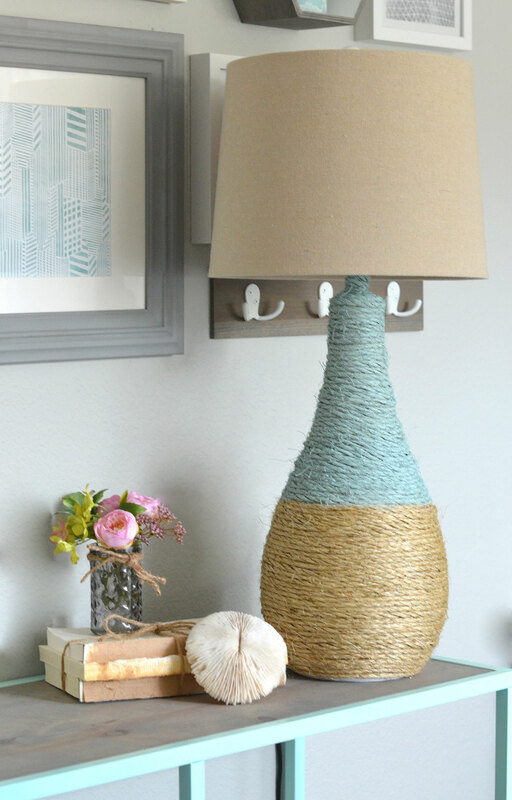 I love how you painted the rope and gave the lamp a two-toned look. Wonderful! What a great lamp! I love that you spray painted half of it, too – it’s perfect for your space! I loved it just wrapped in rope, but the color blocking pushed it over the edge towards amazing! What a great project! Pinning! Love Love!!! This is so beautiful and I love that you color blocked it. A beautiful makeover! 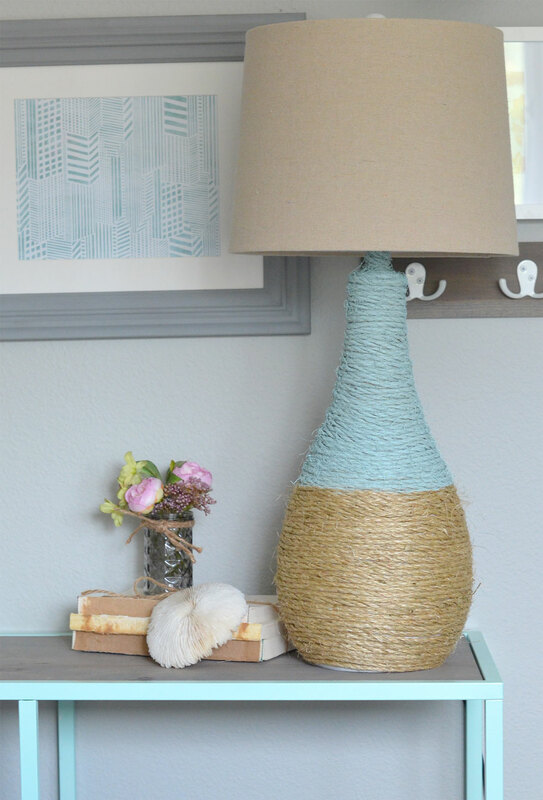 This is a beautiful upgrade to a plain lamp. I love that you added the paint and not just the rope. Adds that extra flair! Your new lamp is beautiful! Thank you so much for participating in the Create and Share Challenge this month! I really love your lamp! It ties in perfectly with your style! Pinning!